Bitcoin is a form of digital currency, a payment system and a trading asset. Yes, it has it all. Created in 2009 by a mysterious mastermind of Satoshi Nakamoto bitcoin currency, Bitcoin gradually gained its popularity all over the world. Each transaction is verified by network nodes and recorded in the block chain, a public ledger. The system works without a central repository or the single administrator, which has led the US Treasury to categorize it as a decentralized virtual currency. Bitcoin is often called the first cryptocurrency, although it the first decentralized digital currency. It is the most popular in terms of volume. Bitcoin currency is a new currency that was created in 2009 by an unknown person using the alias of Satoshi Nakamoto. Transactions are made a peer to peer. That’s why unlike traditional fiat currencies that are regulated by a central bank, virtual currency Bitcoin is not controlled by anyone or any authority. 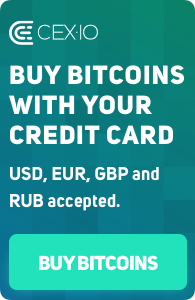 There are no transaction fees and no need to give your real name – just a Bitcoin address. More and more people are becoming knowledgeable about virtual currency Bitcoin, a cryptocurrency and a peer-to-peer payment system, which is becoming more and more popular. This innovation triggered great aspiration, scepticism and rumours in financial, governmental and security sectors around the whole world. How Bitcoin currency is mined? In order to engage in this already profitable business, you should create an account with one of the trading or mining platforms. Key mining pools are at your service 24/7. Bitcoin mining hardware can either be purchased for personal use or safely stored, maintained and cooled in a data centre. Bitcoins gained incredible publicity in 2013, which obviously led to a keen interest to this cryptocurrency. Currently there are about 12.5 million Bitcoins in circulation, and each ten minutes 25 additional coins are mined around the world. In total, though, only about 21 million Bitcoins can be generated, and thus this makes this currency immune to inflation and devaluation. Bitcoin mining process is self-regulating, and its price fairly depends on the correlation between supply and demand. The commercial use of Bitcoins is constantly growing, and many financial institutions are looking into the possibilities of finding common grounds. There are numerous advantages of mining and trading Bitcoins, and the reaction of financial specialists and the public has been ambiguous. Virtual currency Bitcoin are a mean of gaining profit, and they are not subject to inflation, capital control, and international penalties. They can also be used as an inexpensive way of transferring money without any medium.